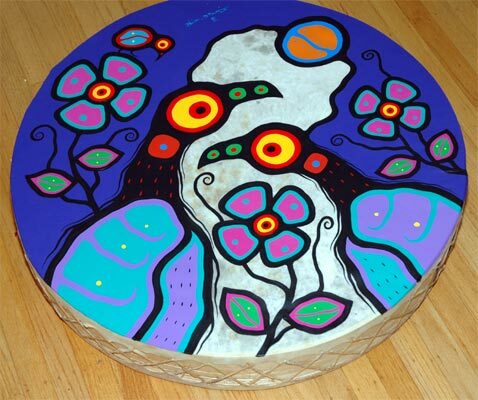 Description: Acrylic on oversized handmade stretched 28"x 5" cowhide skin drum on frame. Signed by artist Blair Debassige on front. Very sacred image. Based on his Ojibway Anisnabec design traditionally used for birchback baskets and porcupine quill boxes.